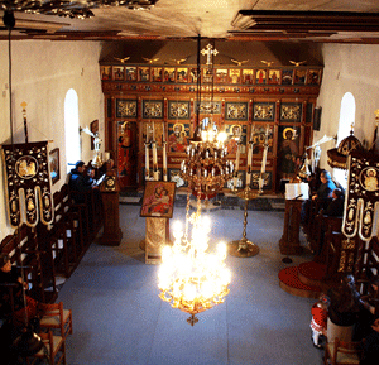 The Church of St. Demetrius was built in 1815 and is a small church, which has its own color. 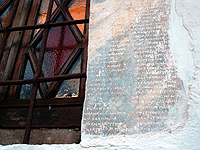 It's Basilica and as shown by the inscription, the temple is dedicated to the three saints. 1. 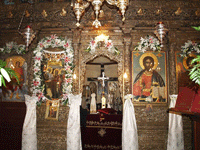 The Holy Great Martyr Demetrios, who celebrated with the participation of our Prelate, the priesthood of the Island and the authorities on 25 and 26 October each year. 3. 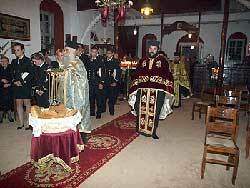 The Holy Martyr Constantine of Hydra, the day of memory of the Patron Saint of Hydra, on 15 November. 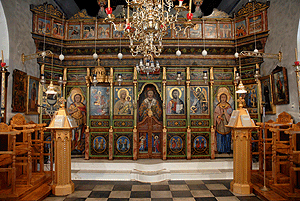 Note that in the Temple there is the first image that was painted for Agios Konstantinos, 1815. 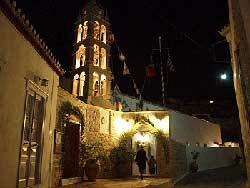 This Church is one of the most historical that there are in Hydra island and was built in 1780. 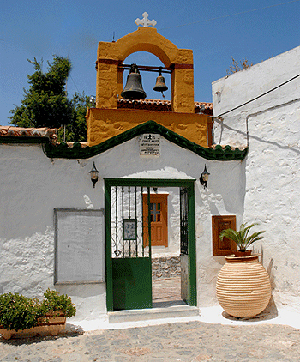 The foundation of the Church dates back before the year 1798 in which has been a renovation. 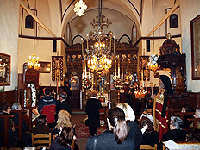 This parish church is known, from those old days as "Three Churches' because it honors the memory of the Three Saints. 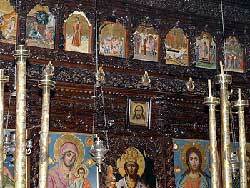 That is, of Santa Barbara, St. Nicholas and St. Sava. 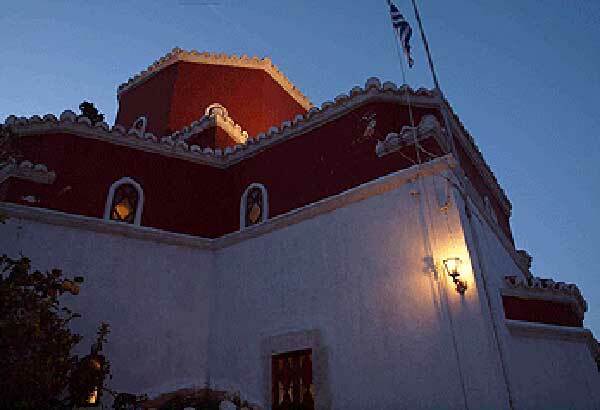 Later they all know as "Agia Varvara" of Papadamianou. It is a great enclosed Church Basilica with wooden tiled roof. 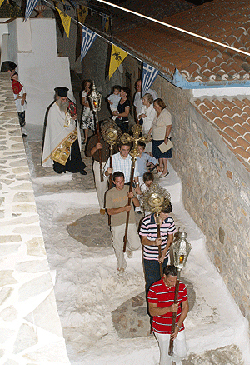 Our Church honors Agios Konstantinos from Hydra every year on November 14. 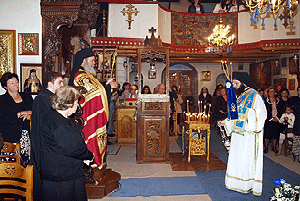 In 2000 we celebrated the two hundred years since the martyrdom of the Saint.